Cloud applications are getting better these days. However, most of existing mainstream engineering applications are still using files to store and retrieve information. Although a lot being said and done in the past about interoperability and data ownership, it is still a problem for most of organizations. If you think about engineering use cases, data is heavily bounded to applications. Design (CAD) systems are using specific file formats to store data and this data rarely goes away and disconnects from the original applications. Last week, I attended Autodesk Forge DevCon in San Francisco, CA. Autodesk is developing Forge platform – a set of cloud APIs that can help manage and share design data in different forms and appearances. Data is the most central element of Autodesk Forge and the question how to manage design data and transfer it between applications and devices is certainly the one that drives lot of interest from developers and users. 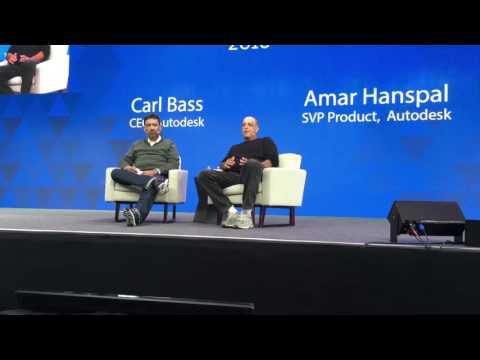 Autodesk CEO Carl Bass addressed this question in his Q&A keynote session. Here is a specific fragment of his answer speaking about future of data and communication in cloud environments. Carl’s comment made me think about data networks in engineering environment. Data being held by application and PLM platforms for many years. Data should be managed and controlled.This is a reality and there is a rational to make it that way. And that’s why most of existing applications and data management systems are basically locking data in existing storages and environments. However, data ownership by applications also brings a significant problem – it sets a boundary for data. Files, Databases, Tenants, etc. – there are many names for these boundaries. Most of them are artificial and caused by existing technologies. To get data out of applications and to allow data access in the way engineers and applications can use this data, can be a tremendous challenge. To facilitate engineering data hand-off to set data independently can help to improve communication and effectiveness of engineering organizations.